Wall of Us – I continue to try to accomplish the four actions requested by Wall of Us every week. For instance, this week we are asked to try to understand Ramadan, support the Muslim Blue Wave, commit to vote and ask others to commit, and build local power with “ActLocal”. I haven’t been able to attend a Poor People’s Campaign action yet, but I’m still trying to clear my calendar for a day. I’m also collecting signatures for a ballot initiative in Washington State, to tax carbon polluters and use the extra money to build more wind and solar power farms. 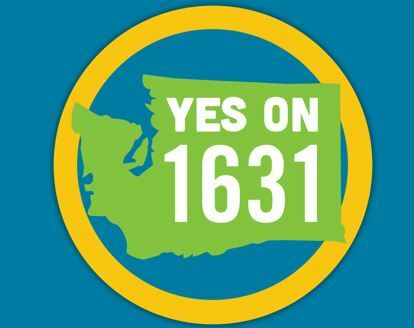 It’s Initiative 1631, and I encourage all the voters in Washington who read this blog to sign the petition. May’s Leadership Council meeting was pressed for time, and a little fractured, but the May Presbytery Meeting was great. The theme was “Blessed are the Hungry” and everything worked out wonderfully. Our preacher for worship was Carmen Pimms, the Executive Director of Campbell Farms. People are still talking about her message. We also had workshops by churches who have community gardens, churches who started a feeding program that grew into something much more, and a nature study by the Ecology Education director at Camp Soundview. Also at the Presbytery Meeting, we were able to move our Kenyan Congregation, Umoja Presbyterian Church, from New Worshipping Community status, but the status of a congregation of Olympia Presbytery. Interfaith community – I continue to meet with the Interfaith Ladies once a month. At the last minute, I found out about an opportunity to apply to be on the Nominating Committee for the General Assembly of the Presbyterian Church (USA). Amazingly enough, I was accepted, and my nomination to the committee will be voted on June 22nd. I covet your prayers. Fill in gaps on Ancestry.com – Still working on my genealogy (I don’t think it’s ever finished). I’ve started a poetry writing course here at Franke Tobey Jones. Hopefully, I’ll be posting some of my poems here at this blog soon. Keep up with my knitting – I’m turning out a couple of pairs of socks a week. So far this year I’ve turned out 32 pairs of socks and have yarn for 16 more. I’m keeping up with this, but not being obsessive about it. 2-3 sessions of weight training a week – I finally made an appointment for a personal trainer here and I now have appointments to do strength and weight training as well as my Fitbit steps. Maintain congregational ties – I attend weekly Bible study and try to attend whatever extra worship services there may be. In May I served as Worship Leader on Sunday mornings.